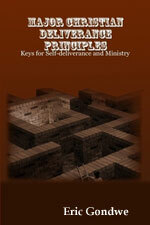 Deliverance ministry & deliverance books online. Major Christian deliverance principles on breaking strongholds, dealing with demonic possession or demon influence, etc. “Deliver us from evil...,” Matthew 6:12-13. “The arm of the Lord is not too short to save (deliver), nor his ear too dull to hear,” Isaiah 59:1.